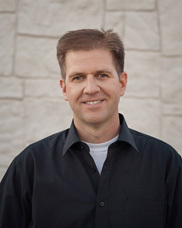 Dr. Aaron A. Christensen graduated from Weber High School. After serving a church mission to Ireland, he attended Brigham Young University and completed his dental training at Oregon Health & Science University, where he graduated with honors in 1999. Dr. Aaron spent the next two years specializing in pediatric dentistry at Primary Children’s Medical Center. Dr. Aaron is a member of the ADA, AAPD, UDA, and the Utah AAPD. He is board certified by the American Board of Pediatric Dentistry. When he is not at the office, Dr. Aaron has volunteered with the Boy Scouts and in other positions with his church, has coached multiple soccer teams, and participates in the Give Kids a Smile program and Dental Days. He loves spending time with his wife and five kids camping, hiking, fishing, biking, golfing and working in the yard.